If you are looking for experienced Phoenix family dentists who puts your concerns first, then you’ve come to the right place. Meet the doctors who can take care of all your dental needs in one place. Louis Maro, DDS has created and developed an exceptional family dental practice in Phoenix with a reputation for changing lives. His extensive education, experience, and passion for dentistry spans over two decades, and the services that he provides range from basic prevention to more complex reconstructive services. 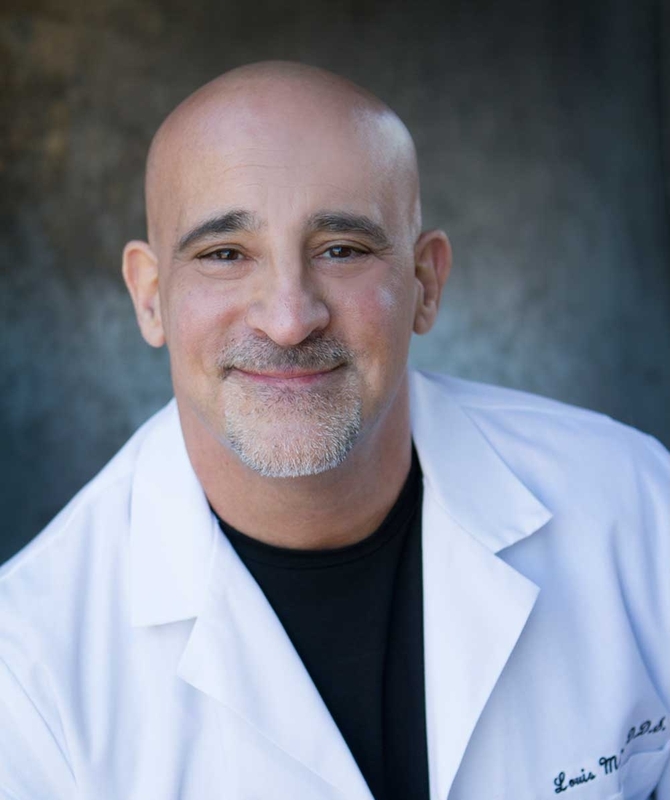 Joseph A. Santoro, DDS is a skilled and caring dental implantologist at Dental Design of Arcadia. He earned his BSA in Microbiology with a Minor in Chemistry from ASU, and he received his DDS from the University of Colorado School of Dentistry. 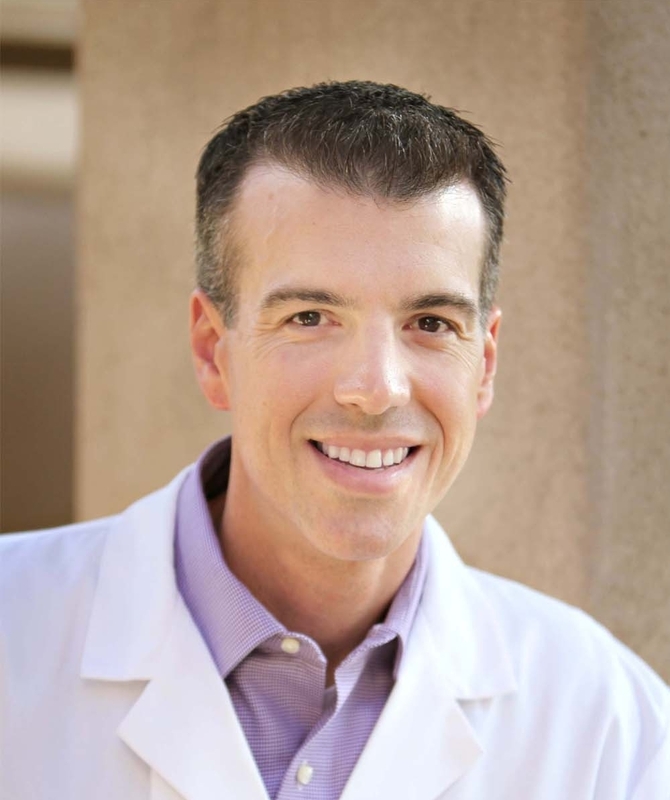 Shortly thereafter, Dr. Santoro returned home to Phoenix, Arizona to pursue his dental career. Dr. Percy B. Twine Jr. is originally from Chesapeake, Virginia. Dr. Twine attended Pennsylvania State University where he completed bachelor and masters degree programs in the field of Food Science. Food science is a discipline focused on all technical aspects of food. It is considered one of the agricultural sciences, and is usually considered distinct from the field of nutrition. Food science is a highly interdisciplinary applied science. It incorporates concepts from many different fields including microbiology, chemical engineering, biochemistry and many others. Schedule an appointment for an in-office teeth whitening treatment for $299. Please provide us with a little information so we can assist you. Please provide us with a little information so we can better serve you. Upon the completion of his graduate studies at Penn State, Dr. Twine decided to pursue a career in dentistry. He attended The University of Pennsylvania for his dental training. Dr. Twine continued his specialty training in endodontics at Louisiana State University. Dr. Twine is currently a member of the Arizona Dental Association, and is board-eligible for the American Association of Endodontics. Board eligibility is conferred upon an educationally qualified Endodontist whose application and credentials have the approval of the American Board of Endodontists. Dr. Twine enjoys teaching and is faculty at Arizona School of Dentistry & Oral Health (DCW-AEGD postgraduate facility). Dr. Twine lives in Phoenix with his wife and family. Most Sundays in the fall, you will find them somewhere rooting on their favorite NFL team – The Pittsburgh Steelers. I have been working in dentistry since 2003. I have been a team member with Dental Design of Arcadia since 2006. I began my career as a dental assistant; and over time, I became interested in learning front office duties. My dental assistance training and certifications in coronal polishing and clinical radiology greatly enhance my abilities in the front office. They prove helpful when explaining dental treatment and dental health to patients. My favorite part of my job is meeting and getting to know our patients. I love hearing about their background, about their families, and about their various experiences. In addition, I love continuously learning new aspects of dentistry. Our staff has fun, and we truly care about each other, our patients, and our responsibilities as your dental team. In my free time I enjoy spending time with my three beautiful children. They keep me young and on my toes. In my down time I enjoy binge watching Netflix and hanging out by the pool. I joined the Dental Design team in January of 2013, after working at an online scrapbook store. I loved the customer service side of my job there. I knew being face-to-face with patients would be a perfect fit! I’ve been a patient of Dr. Maro’s since moving to Arizona many years ago, so becoming a member of the team was a smooth transition. My favorite part about my job is seeing all our patients and hearing their stories. I also enjoy learning about clinical procedures and keeping mouths healthy! In my spare time, I enjoy watching Kentucky basketball games or Netflix, reading a good book, spending time with friends and family or shopping! I graduated from Waukesha County Technical College of WI in 2013, & I’ve been working in the Dental field as an Assistant for over 4 years. I recently moved to the Phoenix area from Milwaukee WI, and am very honored to be a part of the family here at Dental Design of Arcadia. I love everyday working as a Dental Assistant, because there is never a dull moment. The Dental field is constantly advancing. I get excited about continuing my education, and learning about new ways to benefit our patients with Dental technology. It’s also a very rewarding experience, helping nervous patients feel comfortable at the dentist, and being a part of making people smile every day. The team here at Dental Design of Arcadia was a perfect fit for me because they have the same passion and drive I do, to deliver only the best quality of care to their patients, in a compassionate environment. Outside of work, since I’m still new to the area, I am having fun exploring all the valley has to offer. I love being active & outdoors, so you’ll find me, hiking, participating in fun 5K runs, or just playing at the dog park with my English Bull Dog, Hamlet. My dental career started when I was in high school. I had the opportunity to either study nursing or dentistry. I chose dentistry and I have been so happy with that decision. I have been practicing dentistry for many years and love every minute of it. Dentistry is always changing and it has been so fun learning new technology and new techniques. I love being a dental assistant and getting to know our patients on a more personal level. One of the main reasons I chose dentistry was to help people have more confidence in their smile. The team at Dental Design of Arcadia create a fun environment in which everyone has the same goals as I do for our patients. We treat each other and everyone who comes into our office as if they were family. In my spare time I enjoy hiking, darts, and watching college basketball. I have two children and they are my world. I started my dental career as a dental assistant in the year 1998, specializing in pediatrics, special needs and general dentistry. After many years as a dental assistant, I decided to further my education and attend hygiene school. I love dentistry, and wanted to enhance my education and pursue a field in which I could be both a career oriented individual and a mom. I attended Mesa Community College and Arizona School of Dentistry and Oral Health. Out of my graduating class, I was awarded the Western Academy of Periodontology Award for proficiently treating patients with advanced periodontal disease. As a dental hygienist at Dental Design of Arcadia, I feel privileged to interact with my patients and develop wonderful relationships. Helping others to understand how important dental health is to overall body health is a rewarding job. I enjoy spending time with my family during my free time. I have two young boys and they both have my heart. We enjoy going to the movies or spending time playing at the park. We are a vacation family who enjoy frequent trips out to San Diego to visit family and annual trips to Disneyland. My dental career started in 2002 as a dental assistant. This is where I grew to love the field of dentistry and decided to further my education through dental hygiene. I graduated Mesa Community College with honors and received the “Golden Scaler” award for high performance and clinical excellence. I enjoy working at Dental Design of Arcadia because of the family-like atmosphere and their patient-centered goals. It excites me to have the opportunity to aid my patients in their oral health, to get to know them and their families, and be able to provide them with the tools they need to make their smile a healthy one. I am dedicated to providing a positive, educational and fun dental experience for every patient that I see. My journey in the dental field began in 2011. I had always envisioned myself working in healthcare, after starting dental hygiene school I knew immediately that this is where I belonged. I graduated from Phoenix College at the top of my class. Post graduation, I spent a year working for a local Periodontist. During this early stage of my career my passion for periodontal health and patient care grew exponentially. Trust, respect, and compassion are what have made the relationships with my past patients so strong. I enjoy working at Dental Design of Arcadia because everyone has the same treatment modalities when it comes to patient care. Treating patients like family to build long lasting relationships. In my free time, I’m typically at home playing with my son. We enjoy playing sports and going for walks around the neighborhood together. I also love to hike, do yoga, and check out new restaurants with friends. By his fourth year in practice, his love for oral surgery led him to conduct a two-year internship in Oral and Maxillofacial Surgery and a Fellowship in Oral Implantology. He is one of only a handful of Fellowship-trained Implantologists in the United States, and he has dedicated his career to the pursuit of excellence in implant surgery and bone regeneration. Dr. Santoro instills his pursuit of excellence in everything he does including his volunteer work with Cass Dental Clinic, where he provides dental care to homeless women, men and children. He lectures about MIS Implants and serves on the Board of Directors as a founding member of the National Association of Special Care Dentistry. Dr. Santoro is a member of the Academy of Osseointegration. 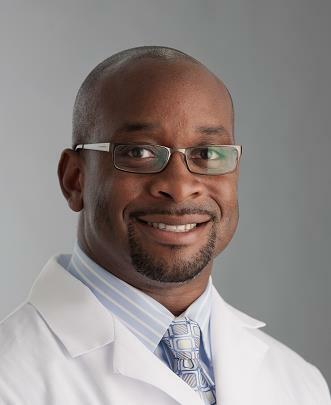 After receiving his BS in Psychobiology from Quinnipiac College in Hamden, Connecticut, Dr. Maro graduated with his DDS from New York University College of Dentistry, where he also served his Residency. He is a fellow of the International Congress of Oral Implantologists (Prosthetic Section). Dr. Maro stays current in the most recent dental research and contributes many hours to continuing education. He retains Certification I & II in Orthotics for Invisalign® and participates in Dental Implant Training from the Misch International Implant Institute. He has received Advanced Prosthetics Training from the acclaimed Dawson Center for Advanced Dental Study. Included in his professional development is Practice Management Training from the Schuster Center for Professional Development. He is also certified by the state of Arizona to deliver oral conscious sedation to his patients for the utmost in comfort. Additionally, Dr. Maro is one out of a handful of dentists who are nationally certified in laser usage for dentistry. Dr. Maro opened his family dental practice, Dental Design of Arcadia, in Phoenix, Arizona with the intention of changing lives for the better. His genuine interest in helping others includes volunteer work with two children’s charities: Smiles for Life, which raises money for seriously ill, disabled, and underprivileged children, and St. Jude’s Children’s Research Hospital, which researches cures for children with cancer and other childhood diseases. With a giving, infectious personality and attention to detail, it’s no wonder many patients remain loyal to him.